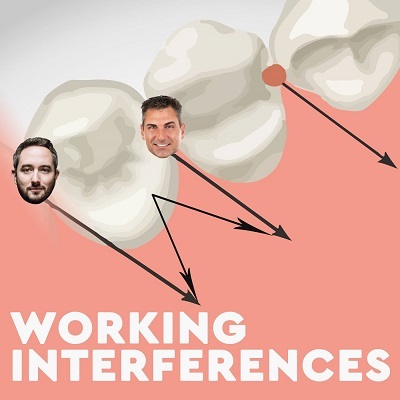 The #1 Podcast in Medicine on iTunes, Working Interferences is back! Get your fix today! We don’t get it either, but for a brief moment, we were #1 in your hearts. This episode is a bit on the SERIOUS side. Josh interviews a REAL periodontist about the ethics and legality of a prophy in the presence of periodontal disease. Did WI sell out when they went #1? You decide. The Reddit! this week is about personal hygiene with a knife blade in bed. Is this what nightmares are made of? How easy is it to get a restraining order?